Meet 2019 University of Calabar, UNICAL Overall Best Graduating Student - Henry Emmanuel, Student of Zoology with Cumulative Grade Points Average, CGPA of 4.72. The University of Calabar, UNICAL on Saturday 11th April, 2019 held their 32nd Convocation Ceremony where Master Henry Emmanuel was crowned the Overall Best Graduating Student of 2019. 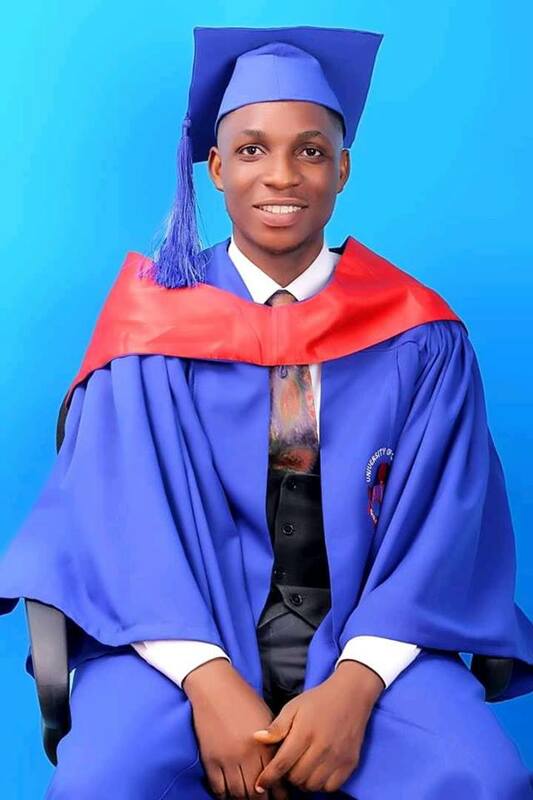 Henry Emmanuel, in his early 20s, emerged as the best graduating student at the University of Calabar 32nd Convocation Ceremony with a Cumulative Grade Points Average (CGPA) of 4.72 out of the possible/maximum 5.0. He hails from Ini Local Government Area of Akwa Ibom State - Nigeria. And a student of Zoology and Environmental Biology, Faculty of Biological Sciences, University of Calabar.